No one deserved the MVP award more than Alexey Shved, who’s been putting on star performances all season long with Khimki! 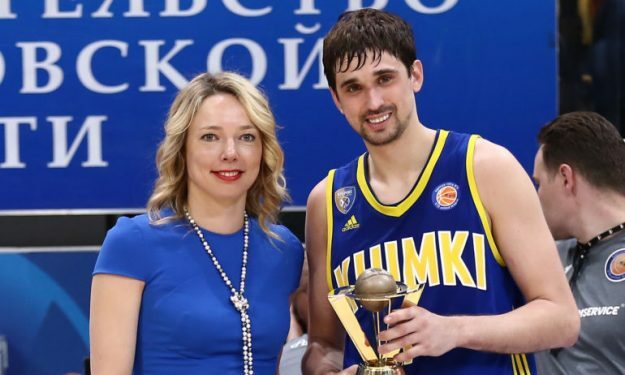 The Khimki player was awarded with the MVP honor before the team’s clash with Zenit on Tuesday evening. Shved averages 22.2 points in 20 VTB league games this season, with 5.3 rebounds and 3.9 assists and he was also named MVP of the Month twice in November and February. Shved’s team, Khimki, finished 3rd in the regular season with a 19-5 record. The Russian guard was the undisputed leader in Moscow Region, guiding his club to the playoff semifinals.